*Walks up to podium, clears throat* Hi. I'm Jess Summers and I ... LOVE GOATS! But seriously, how can you not love a goat, especially the baby kind. You can let them free in your lawn to eat the grass so you don't have to mow. 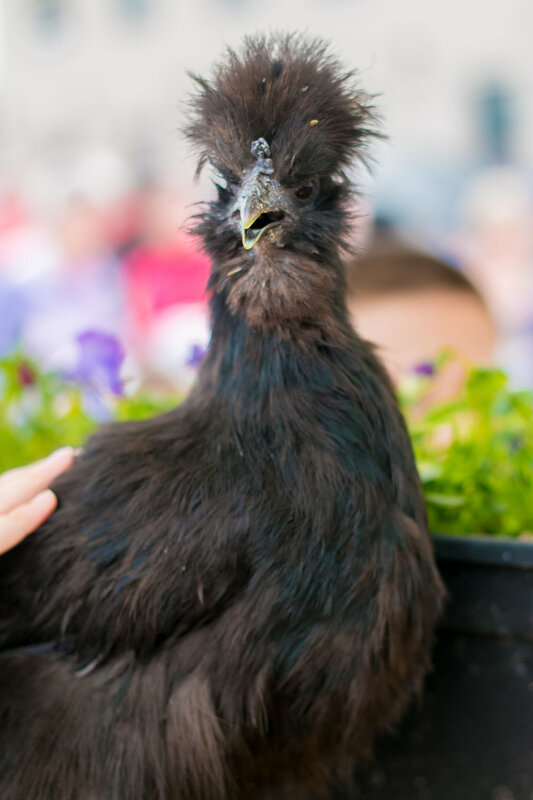 They are very loving animals with incredibly cool eyes. When they are babies, they jump around on things and it's so entertaining to watch. My list of why I love goats could continue for a while, but I'll get to the point here. This past weekend was the 3rd annual Running of the goats held here in Covington Kentucky. 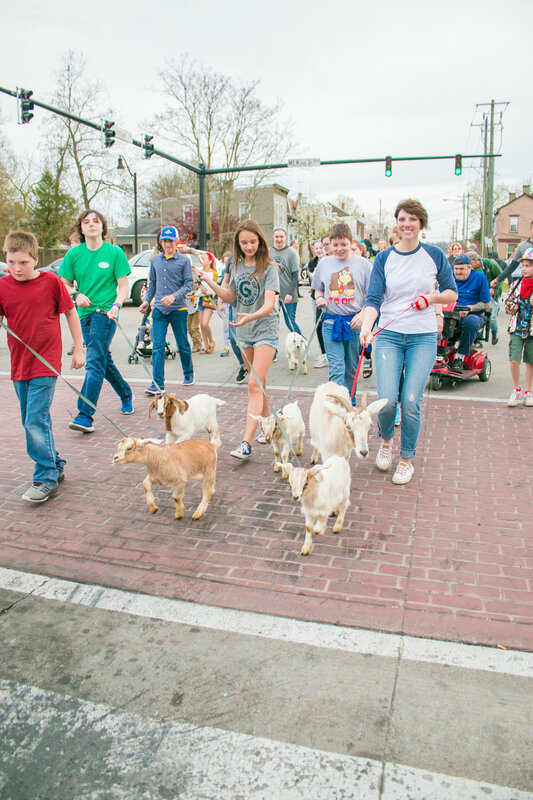 It's a fun day where the Famous Goebel Goats make their way from Farmers Market on 3rd and Court street to their summer home in Goebel Park by trotting through streets of Covington. There are also tons of Covington vendors set up for you to check out. They range from delicious food, awesome makers and local causes like Ride the Cov. I found myself mostly attracted to the booth with all the fluffy bunnies and chickens- again, sucker for animals. It had THE MOST fluffy soft chicken I've ever seen in it. 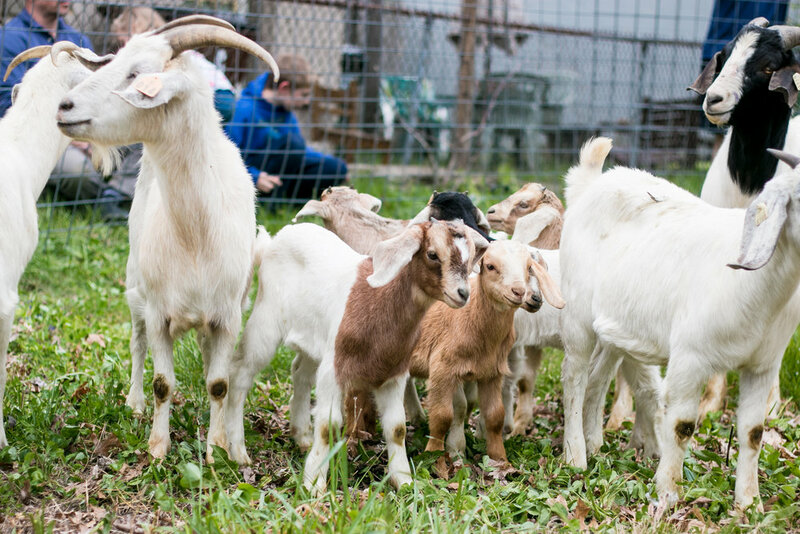 When the time came around 6 the goats were taken out of their pin and given leashes to walk down the street. Myself and others lined the sides of the streets to watch as they trotted by. It really is a fun day and definitely worth taking a couple hours of your day to watch the festivities. 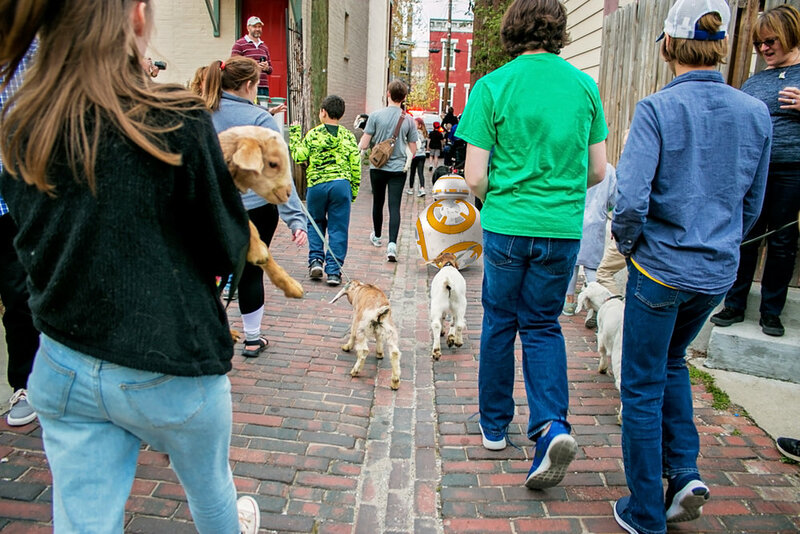 I even caught BB8 enjoying the event. Did you go to the Running of the goats this year? Let me know in the commetns!